NEVER ENTER ANY SLOT CANYON WHEN HEAVY RAIN IS IN THE FORECAST…!!! The 10’ wide natural bridge below spans the first arroyo on your left, below the upper 20’ high dry falls. 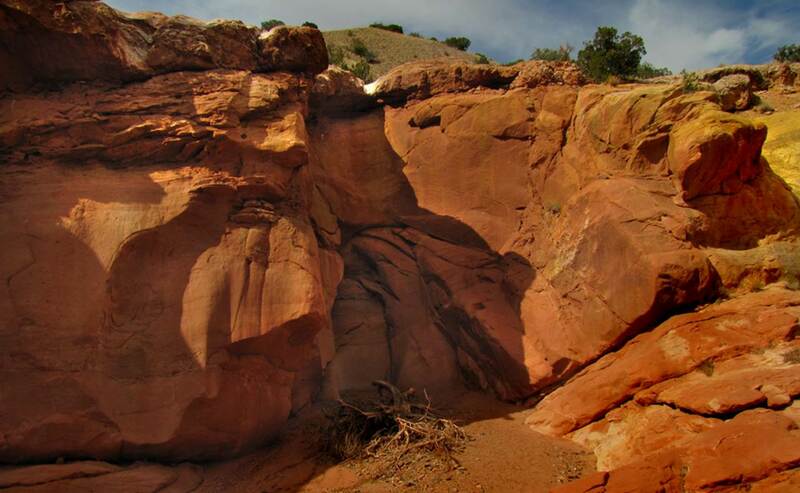 It can be seen from Red Wash but must be accessed by a steep long climb. See map below. season to visit- drier months of the year, like May, June, September, October and November… NEVER ENTER ANY SLOT CANYON WHEN HEAVY RAIN IS IN THE FORCAST…!! !